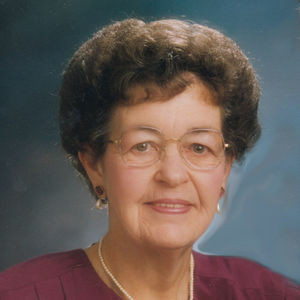 Johanna Busscher, 89, of Jenison, passed away unexpectedly on Tuesday, April 9, 2019. She is now with her Lord and Savior. Johanna was a member of Baldwin Street Christian Reformed Church. She was preceded in death by her husband, Arthur in 2015 and a grandson, Vincent, in 2012. She is survived by her children: Arthur, Gary and Diane, Paul, Glen and Susan, Warren and Diane; 17 grandchildren, 32 great-grandchildren, siblings: Rose and Roger Bush, Nick and Karen Staat, Irene and Stan Wagner, Jim Staat; in-laws, Ruth Staat, Harriet and Adrian Veele, Lillian Busscher, Wilma Busscher, Rose Busscher, Fran Staat, Jim Meyer, and many nieces and nephews. A funeral service to honor the faith and life of Johanna will be held at 1:00 pm, Friday, April 12, 2019 at Baldwin Street CRC, 2101 Baldwin St. Jenison, MI 49428. Visitation 4-7 pm, Thursday, April11, at Langeland-Sterenberg Funeral Home, 315 E. 16th Street, Holland. Interment in Restlawn Memorial Gardens. Memorials to the charity of one's choice. To leave a condolence and more information, please visit www.langelandsterenberg.com. Add your thoughts, prayers or a condolence to Johanna's guestbook. Your inquiry has been forwarded to Langeland-Sterenberg Funeral Home.